It is orange in color and your owners manual probably states that it is good for anywhere from 100,000 to 150,000 miles. You should check out the links below to save yourself some time, money, and more importantly safety. 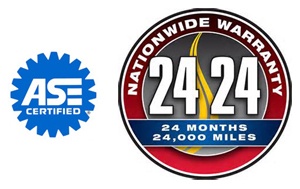 Benefits - Your car requires certain adjustments, services, and repairs at regular intervals. Not doing these maintenance can void your warranty as well as cause damage and premature wear to components. Eagle Automotive can perform these services at a much lower cost than the dealer with better quality. Benefits - Many of today's cars have timing belts. These belts keep the cam in time with the crankshaft. If these belts are not replaced at scheduled intervals they become a time bomb. If a timing belt breaks it can cause serious damage to your motor and often times triple the cost of repairs!! Benefits - Today's vehicles should have the oil changed every 3000 miles. Some manufacturers extend these time frames for non-severe service vehicles. Severe service includes stop and go driving, use of the air conditioner, colds starts. Nearly everyone's vehicle meets these criteria. Oil breaks down and oxidizes at a certain rate, changing your oil every 3000 miles will prevent damage to your motor and greatly extend it's life as well as avoid breakdowns. Benefits - Some brake specialty shops offer low cost brake jobs and then get your car in and run up the price. These shops use inferior parts as well as rip you off to make their money. At Eagle Automotive we offer high quality parts and don't sell what you don't need! You'll get out of our shop for less money 95% of the time. Benefits - Everyone should have their car inspected at regular intervals. At Eagle Automotive we offer a free safety inspection with every oil change to spot problems with your car before they become expensive problems. No oneshould ever buy a used car without a pre-purchase inspection. Benefits - Sometimes these can indicate serious problems with your cars computer control system, but how do you know? At Eagle Automotive we have the latest diagnostic equipment and the highest trained technicians in the area. We can take care of any drive-ability or emissions related repairs accurately and often inexpensively. Mistakes on diagnostics are a common and expensive problem in the industry. We can help you avoid these mistakes by having us fix your car right the first time. Let the Pros fix it! Features - Dissolve & suspend gum & varnish in the valve body. Flush old fluid and debris from system. Benefits - Eliminates hard shifting, chattering and slipping. Reconditions seals and extends transmission life.